A range of bath mats available in 14 colors, 1200gr/m² for a greater softness and pile. 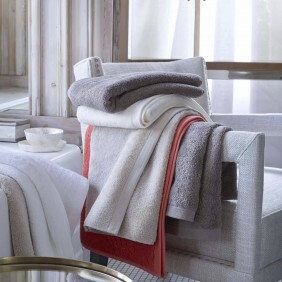 These bath mats can be mixed and matched with the towels and bathrobes of the ESSENTIEL collection. Alexandre Turpault offers cotton bath mats in various colors for every cozy homes. Our soft bath mats are made of 100% Egyptian cotton which provides quick water absorption and quick drying. You can use our cotton bath mats on the side of your tub or in front of your shower and sinks. Thanks to our cotton bath mats, you will offer an extra comfort, support and warmth to your feet. When you will step out of your shower or bath, our soft and fluffy bath mat will spoil your feet. Our cotton bath mats will make the cold floor of your bathroom ultra-soft, warmer and more comfortable on chilly mornings. Our cotton bath mats are highly absorbant and easily washable. 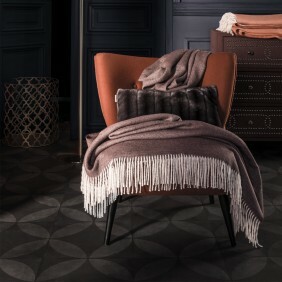 Our perfect floor covering can beautifully enhance the look of your bathroom with warmth and comfort. Indeed, our cotton bath mats are not only a functional piece of your bathroom but they can also be a decorative piece to finish your bathroom design. Indeed, our cotton bath mats will add an elegant accessory and a warm and sophisticated finish to your décor. Let speak your creative spirit and coordinate your bathroom decor with colorful bath mats such as a white bath mat, a cream bath mat, a marine bath mat, a grey bath mat or bath mats of other colors.